270 Park Avenue enclosed public space (with action); image from City Planning. In late October, JPMorgan Chase announced the selection of Foster + Partners, led by British Pritzker Prize winner Norman Foster, as the architects of a new 70-story headquarters on the site of its current offices at 270 Park Avenue between East 47th and 48th streets, CityRealty reports. 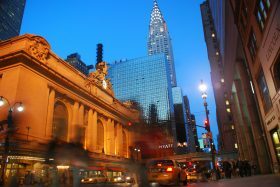 The plan, announced in February, represents the first major project under the 2017 Midtown East Rezoning Plan that upzoned 78 blocks of Midtown to allow for the construction of larger, more modern skyscrapers. 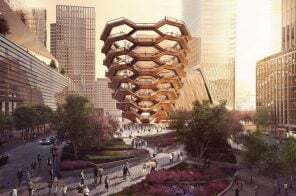 The 70-floor, 1,400-foot height would make the new headquarters one of the tallest buildings in the city and the tallest office building by roof height. 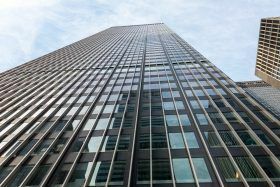 Plans to replace JPMorgan Chase’s current headquarters at 270 Park Avenue with a much taller tower at the same site is facing opposition from architecture and preservation buffs, shortly after the proposal was announced. Not only will the project become the largest intentionally demolished building in history, as YIMBY reported, the landmark-worthy Union Carbide Building was also designed in 1960 by Natalie de Blois, a pioneer of American architecture and one of the few female senior designers at that time. 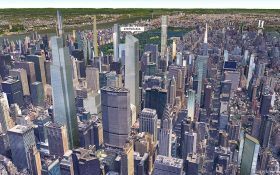 As the first project under the Midtown East rezoning, JPMorgan Chase’s existing 700-foot tall structure will be bulldozed to make way for a tower that will most likely be over 1,200 feet tall. 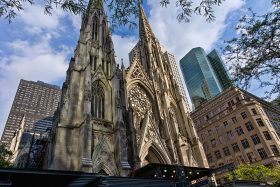 Mayor Bill de Blasio and JPMorgan Chase announced on Wednesday plans to build a new 70-story world headquarters at the site of the bank’s current offices at 270 Park Avenue, the first project under the East Midtown Rezoning plan. 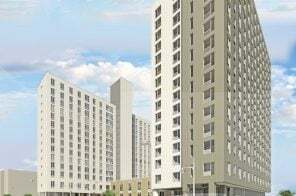 Approved by the City Council in August, the rezoning affects 78 blocks running from East 39th Street to East 57th Street and from Third Avenue to Madison Avenue. The updated zoning code is expected to clear the way for 6.5 million square feet of modern office space and allow for taller buildings. 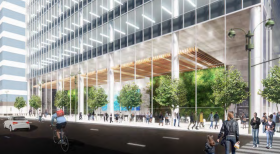 JPMorgan Chase’s new building will have enough room for about 15,000 employees, compared to the old building’s capacity of just 3,500 employees.